McCracken County Schools employ seven school resource officers (SRO/Police Officer) and one supervisor. Each SRO is a sworn police officer and a graduate of the Department of Criminal Justice police academy. These officers receive annual training through the DOCJT. McCracken County SROs cover every school in the county and are responsible for enforcing all local, state and federal laws. All schools have school safety and emergency management plans and these plans are reviewed with faculty/staff. Drills for lockdown, fire, severe weather and earthquake are mandatory in all schools and are conducted throughout the year. All school doors are locked to outside visitors and all visitors are buzzed in to a single main entrance to the school. All visitors, this includes parents, delivery drivers, vendors and media, are required to check in to the office immediately upon arrival. Procedures are in place for drug and weapon detection with students and staff trained to immediately report the location, identity and description of any suspicious individual. Students and staff have received instruction in lockdown, evacuation and other security procedures. All exterior doors are locked, and our staff and school resource officers are available to supervise the buildings and grounds during the school day and as students arrive and depart. 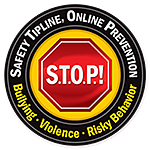 The Kentucky Center for School Safety provides information and resources about bullying, Internet safety and other school safety issues for schools and families.